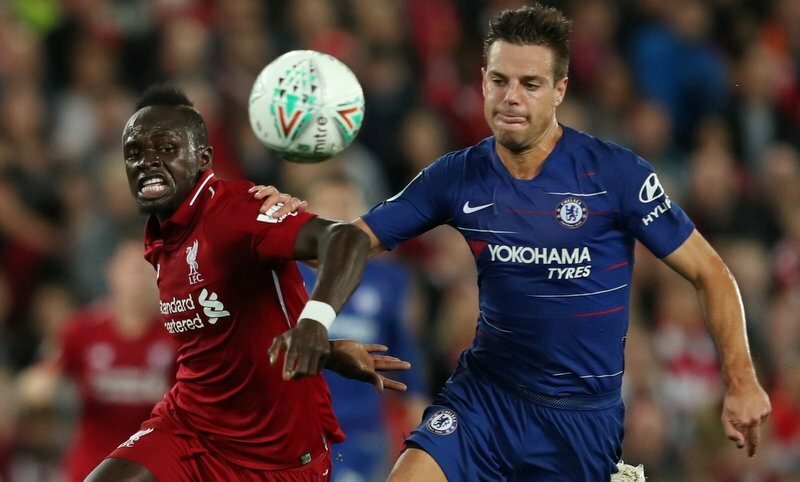 Premier League leaders Liverpool will be looking to bounce back from their Carabao Cup exit to the hands of Chelsea in midweek as they travel to Stamford Bridge on Saturday evening (17:30). The Reds, who are the only team in the English top-flight to boast a 100 per cent record so far this season, were knocked out by Maurizio Sarri’s side in the third round of the Carabao Cup on Wednesday night (1-2) at Anfield. The Blues, who currently sit just two points behind Liverpool in the league table having gone unbeaten so far this campaign (Won 5, Drawn 1), will want an improvement on their last Premier League outing after being pinned back to a goalless draw at West Ham United last weekend. 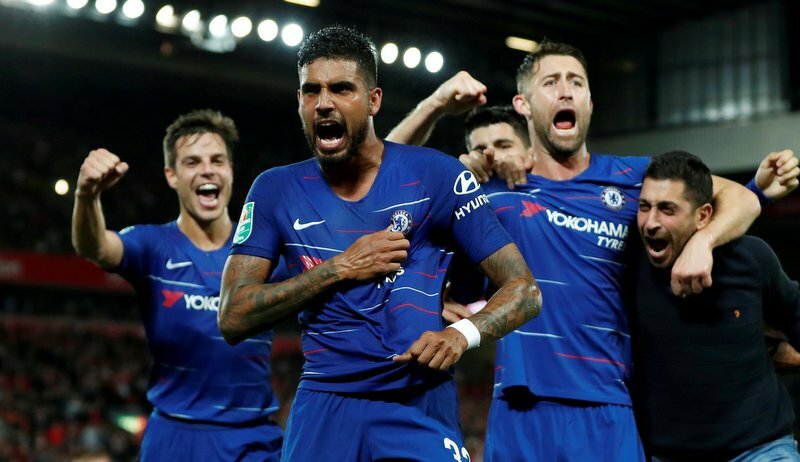 Chelsea’s Emerson Palmieri celebrates his equaliser at Liverpool in the Carabao Cup. An equaliser from Emerson Palmieri (above) and a sublime individual winner from Eden Hazard late on saw Chelsea get the better of Liverpool in their League Cup clash in midweek, despite Daniel Sturridge acrobatically giving Jurgen Klopp’s hosts the lead shortly before the hour-mark. Just three days later, they face each other again, this time at Stamford Bridge, for league bragging rights. Do you agree with our selection? Or, which player(s) do you think we have missed out? Comment below with your tactical suggestions!